“Savage” Steve Holland only blessed us with a few ’80s movies before he moved on to children’s animation, with shows such as “Eek! the Cat.” (That cartoon gave us the catchphrase “I learned something today!” which “South Park” has taken and ridden off with.) 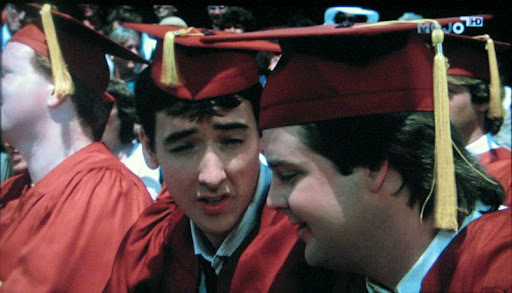 But he did give us the undeniable classic Better Off Dead… and the slightly lesser, but still funny One Crazy Summer, both with John Cusack. And for that we are deeply in his debt, because they were ’80s spoofs that were made in the ’80s, and yet great ’80s movies in their own right. That’s right, “Savage” Steve Holland was meta before people said meta. 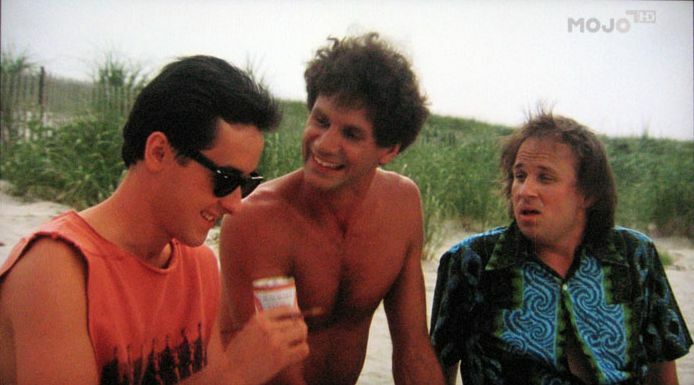 In One Crazy Summer, Cusack plays “Hoops” McCann, a young aspiring animator with a name from a Steely Dan song. He graduates from Generic New York High School and follows his buddy George Calamari (Joel Murray, Hatchet, “Mad Men“) to the tourist town where his wacky family has a summer home. 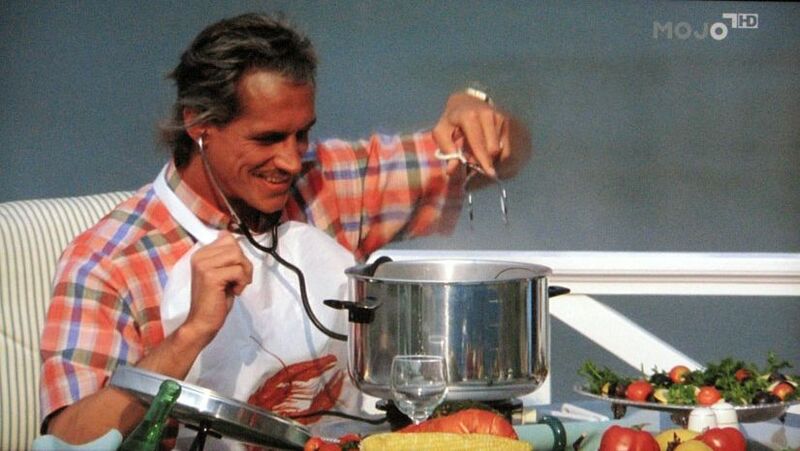 The town is your typical Martha’s Vineyard situation, with old money families with snotty kids using it as their playground- represented by Mark “Neidermeyer” Metcalf as Mr. Beckersted, an evil developer so cruel that he listens to lobsters scream with a stethoscope when he boils them. His douchey son Ted (played memorably by Matt Mulhern, Lt. Gene from “Major Dad”) fills the goon role, deciding to bully Hoops mercilessly when his girlfriend dares notice him. The working folk like “Ack Ack” Raymond, whose Dad runs Army Surplus store, are his victims. Ack Ack is played by Curtis “Booger” Armstrong, of Revenge of the Nerds, and more recently the manager who wrote “Mess Around” for Ray Charles in Ray. He’s also Cusack’s fellow alumn from Better Off Dead, along with the hippie mailman (Taylor Negron- the pizza guy from Fast Times at Ridgemont High) who’s back for another minor role. Hoops and George run into a musician named Cassandra on their road trip there- she’s on the run from a biker gang she owes money, led by John “Sloth” Matusczak (The Goonies) and they help her escape by jumping their jalopy onto the last ferry to the island. Cassandra is played by a perky Demi Moore, fresh from St. Elmo’s Fire. Sloth unmasked. 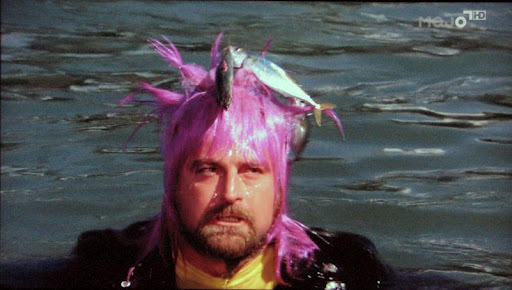 With fish in his spiky hair. 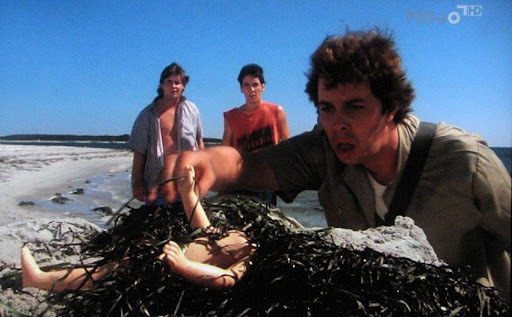 On the island, they meet the rest of their ragtag band of ’80s misfits, including Bobcat Goldthwait and Tom Villard as the Stork Brothers. 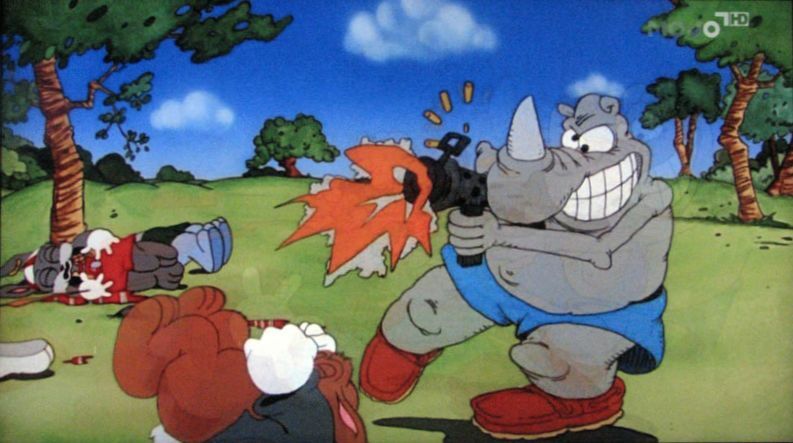 The plot is simple and silly; we get various goofy skits interspersed with animated interludes, as Hoops doodles his Unlovable Rhino character, who is forever tormented by the Fluffy Bunnies. Ted the goon hassles Hoops ‘n company, and his evil Dad wants to knock down the Dew Drop Inn, where Cassandra sings nightly, to build condos. Ted and Hoops decide to settle their differences with a competition. This time it’s a boat regatta. The joy in this movie is in the backgrounds. George’s little sister “Squid” has an injured dog named Boscoe, and she wreaks terrible vengeance on whoever makes fun of him. Neidermeyer looks like a John Waters villain as he tortures lobsters, and lounges around the pool plotting nefarious mayhem. Ack Ack’s Soldier of Fortune wanna-be Dad sends him to an artillery range to pick up shell casings, during live fire exercises. And he trains a legion of little Civil Defense wardens who tackle and bandage anyone who so much as trips at the beach. 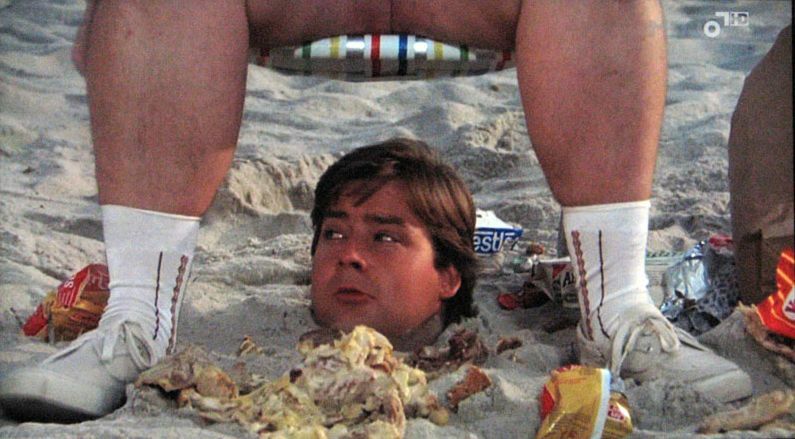 And poor Joel Murray, that squiggly-lipped least famous of the Murray brothers, gets buried in the sand where a heaving human hog sits his beach chair above his head, eating beans and chili dogs. Oh, the humanity. There’s one silly set piece after another, such as Bobcat in a Godzilla suit, and various pranks played back and forth. It’s not as tasteless as stuff like Joy Sticks, but not as masterful as a classic like Say Anything, or even Porky’s. Actually it’s sort of like Say Anything meets Porky’s. Holland’s movies were great because they knew how stupid their genre was and made fun of it, while still existing within it and not going full spoof like a Mel Brooks film. They have great charm, and it’s too bad he’s done little writing since. Though apparently he will be writing Howard Stern’s idiotic remake of Porky’s, so maybe he can give it the charm it will desperately need. 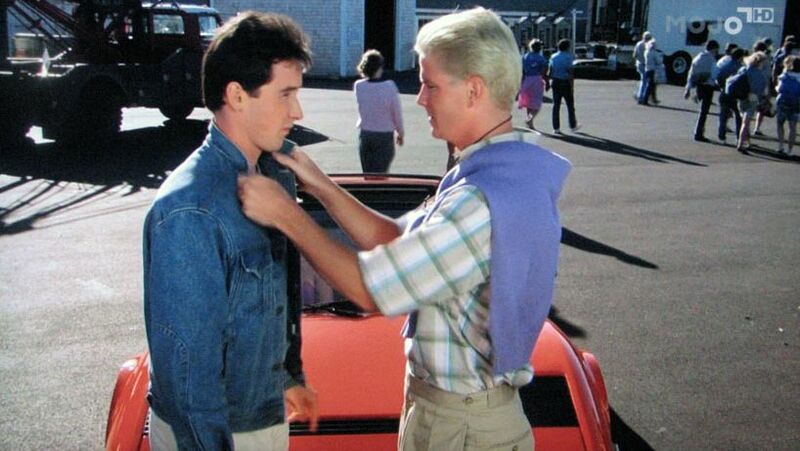 Even the bad guys have charm; little scenes like Ted whispering “don’t touch my car” when he almost runs Hoops over, and then slowly boiling into a rage is unforgettable. And his comeuppance is legendary, only bested by that of his father. Will they win the regatta? Do I really have to answer that? Even the movie knows they have to win, and that Hoops has to see that Cassandra’s quirky charms outweigh the hot girl’s rack. Not that Demi’s rack has any ‘splaining to do; just rent Blame it on Rio to get a fine gander. But what really sets a “Savage” Steve Holland movie apart is the animation. In Better Off Dead he had a claymation hamburger singing and dancing to Van Halen’s “Everybody Wants Some,” and here he goes even further, by having Hoops animate the Lonely Rhino’s adventures to his monologues. We get to see him take out the Happy Fluffy Bunnies with an Israeli submachinegun, and Teddy as Godzilla stomp him into something “resembling a wet prune.” According to IMDb, he even made two bunnies the likeness of Siskel & Ebert, since they panned Better Off Dead. What were they thinking? They were too busy sucking fellow Chicagoan John Hughes’s saccharine nutsack. I like Hughes, but he made some crap too. And I’d rather sit through or One Crazy Summer or Better Off Dead. How evil do you get? Mmm, pass the butter. Could it be remade today? not ironic enough! 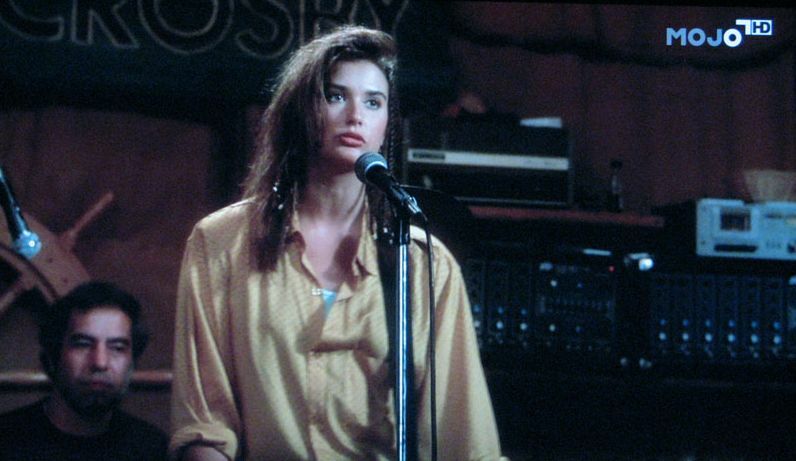 Low Point: Demi Moore sings? thanks for the support! This movie is rad. I like your blog too, well done!